Spills and stains are something everyone hates and are potentially dangerous for those who don’t know they are there. Liquids on any smooth or shiny surface can quickly create a hazard and can lead to serious slip and fall injuries. Hot liquids are also a concern, as spilling them on yourself or another person can cause burns. Unfortunately for those who suffer from Arthritis, Parkinson’s, and other impairments and diseases similar, spills can often happen and can be very tiring to clean up. 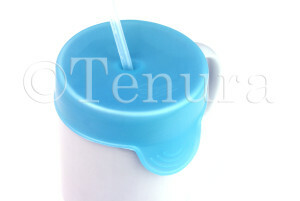 Tenura cup caps can help to prevent such spills and stains thanks to the complete seal over the top of cups, mugs and cans they offer. 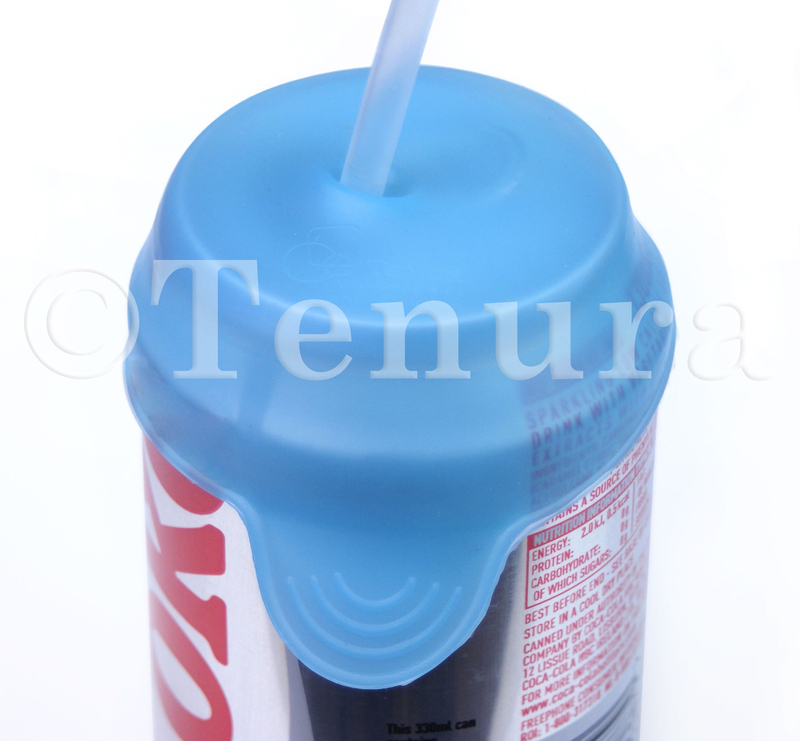 Tenura cup caps come in a pack of two, one measuring 80mm in diameter and the other 60mm. Allowing you to create a seal over almost any container you may be drinking from. Cans are a great way to get a drink on the go, perfect for a quick lunchtime in work. However, a spill with most fizzy drinks can cause untold damage to a work environment, creating a sticky mess on your desk, or all over your equipment. This can happen a lot for those who suffer from diseases like Parkinsons or those who suffer from hand and arm impairments, and will be irritating to clean up. Luckily, Tenura cup caps can offer a solution! The 60mm cup caps will fit over almost all cans and will provide a strong seal, helping to prevent nasty spills and stains and keep your drink fresher for longer. The seal in the middle of the material allows a straw to be neatly threaded through, allowing you to drink from the can, without the possibility of a nasty spill. Cup caps can be applied around cans easily, and will stretch to conform around the cans shape. Simply stretch the cup cap around the can making sure the material is tightly positioned around the cans top, then smooth down the edges of the cup cap to the sides of the can. Tenura cup caps can be removed just as easily before throwing away an empty can. Posted in Arthritis Aids, Assisted Living, Daily Living Aids, Independent Living, Tenura Updates and tagged anti microbial, cup caps, tenura, Tenura cup caps on 2nd September 2015 .